Tú estás aquí: Inicio / WHERE? The Good Traveller Experience is based in the charming spa town of Cuntis, where water forms an integral part of the landscape. 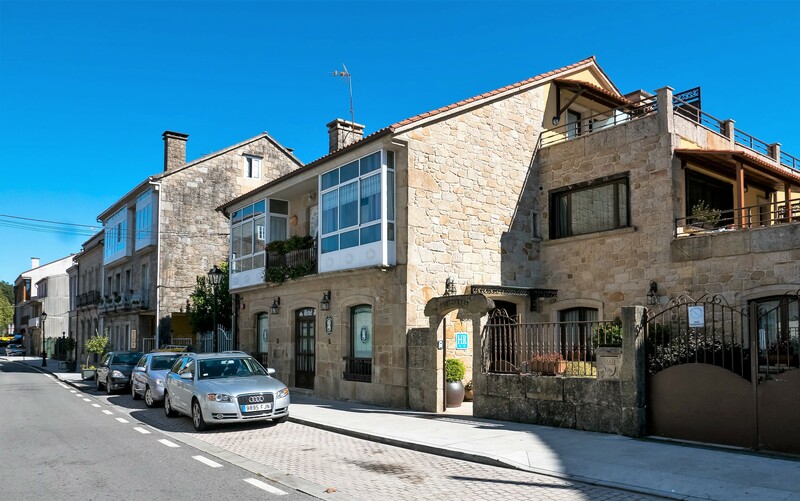 It is strategically located just 28 km from Santiago de Compostela, (35 km from its airport) and 27 km from the coast. 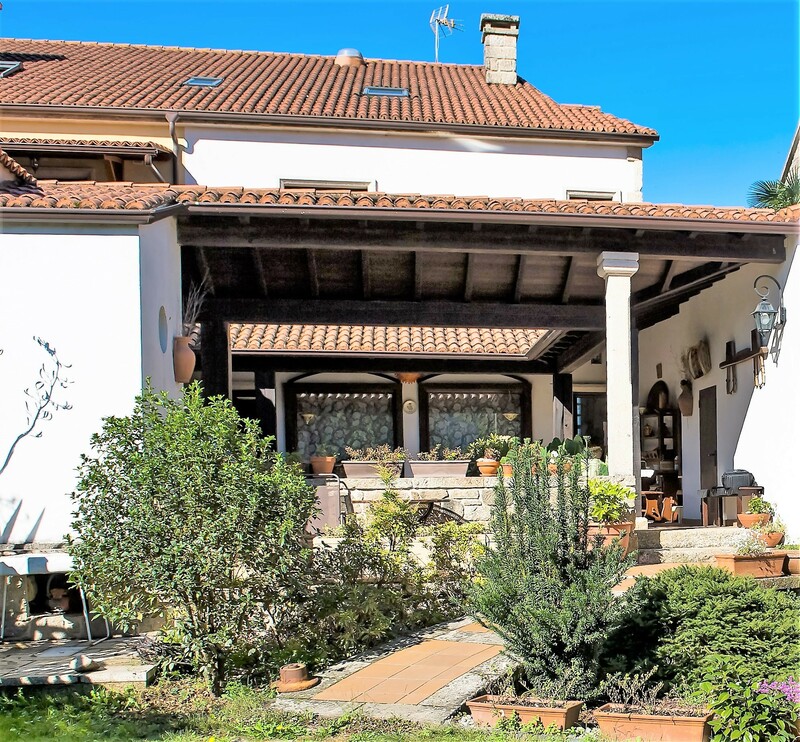 Cuntis has a small, well-preserved historic quarter and its surroundings are rich in natural, archaeological and monumental heritage. 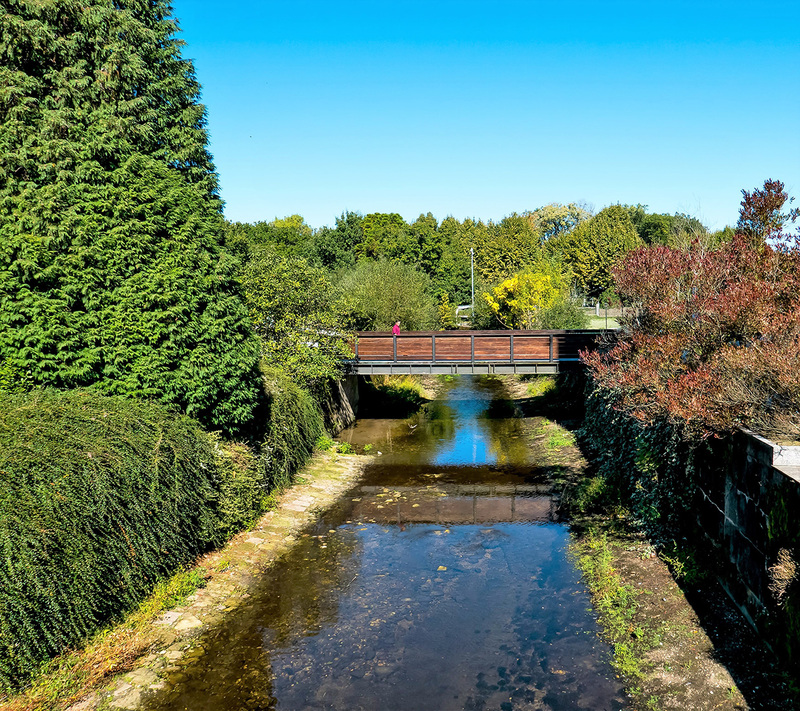 The area, which was known in Roman times as the “Land of Thermal Waters”, was later a place of passage for pilgrims who, from the north of Portugal and from the ports in the south of Galicia, walked towards Compostela following the old Roman roads. 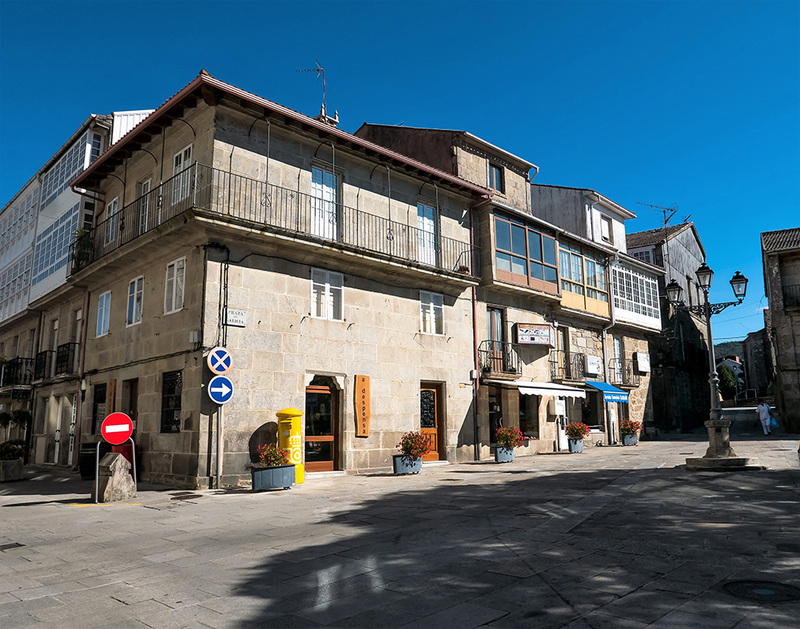 Near Cuntis, 7 km away, the village of Caldas de Reis is the penultimate stage for pilgrims travelling along the Portuguese Way to Santiago de Compostela, a World Heritage Site. Cuntis is the ideal place to relax after daily visits and activities, away from the hustle and bustle of any other tourist city. What better end to the day than to do what the locals do, and enjoy a glass of wine and a chat in the village bar at sunset. Also, the climate of Cuntis is very mild, with pleasant average summer temperatures of 24º C.
The Fonteverde Hotel, in the centre of the village on the banks of the river and only 100 m from the Termas de Cuntis spa, was originally a traditional country house that has been refurbished as a hotel, and was opened to the public in 2009. 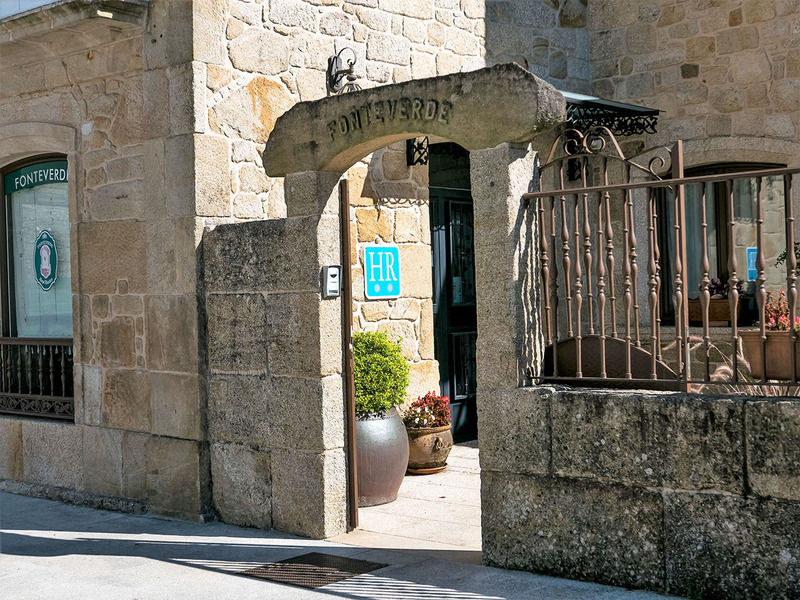 It is a quiet hotel from where participants in The Good Traveller Experience can discover the region´s cultural heritage. It has eight bedrooms, one of which is equipped for people with reduced mobility. All rooms have full bathroom and television, and nearly all of them have a gallery space or a private terrace. 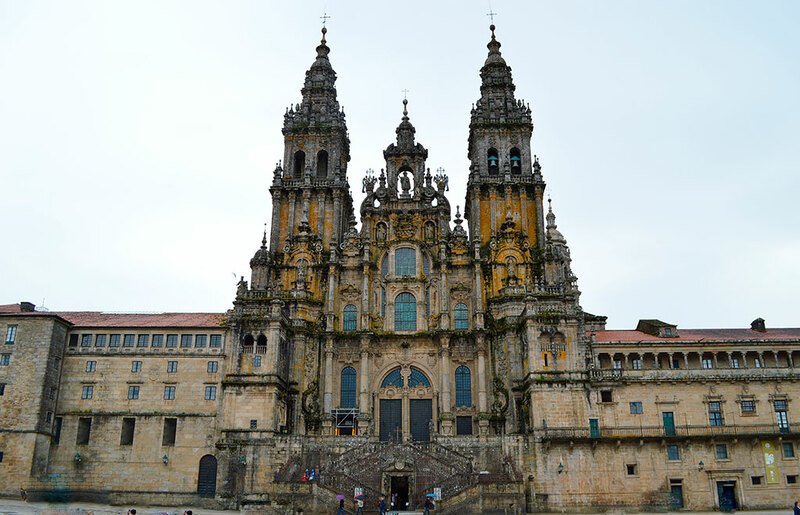 During the wonderful week that we have organized, we will be only half an hour from Santiago de Compostela, our region’s capital and UNESCO World Heritage city. But what better option than to return to this relaxing setting after our visits. 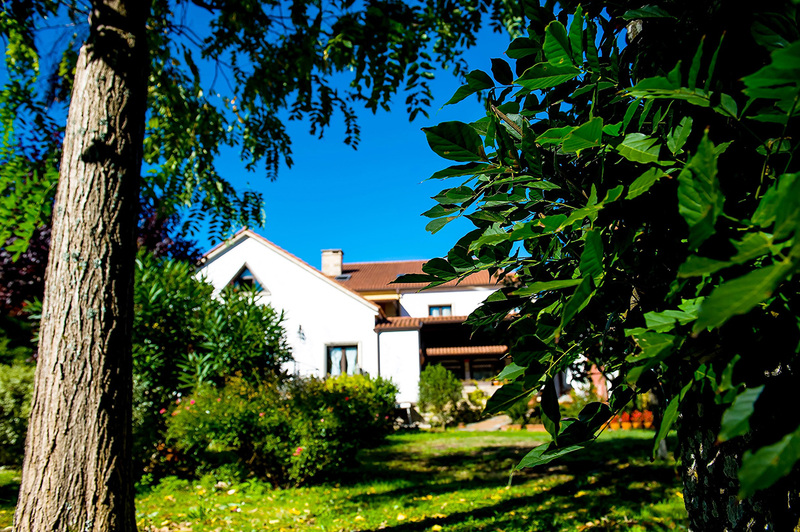 In the hotel we will be able to unwind in its beautiful patio, to rest in the garden at the edge of the river that runs alongside it, socialise in the lounge, or enjoy of our wonderful wines in the riverside bar and chat about all the interesting moments we have shared throughout the day.